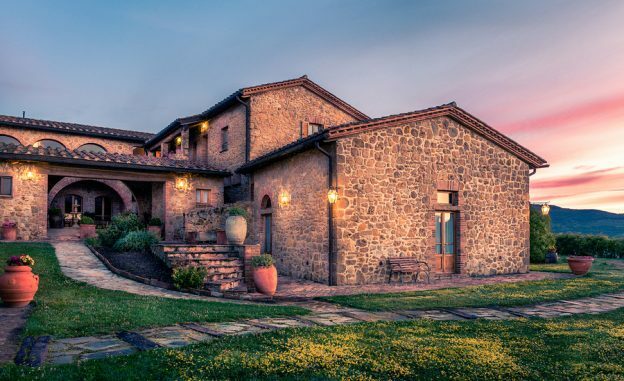 If you are planning to buy a property in Italy, you should make sure your budget takes into account not only the purchase price but also the additional fees and taxes required to complete your purchase. A rough outline of these extra costs of buying property in Italy is set out below. If you have any questions with regard to your plans to buy property in Italy or if you would like a recommendation for a reputable English-speaking lawyer to assist you, please contact us on 01244 470 339 or at info@worldwidelawyers.co.uk. Registration Tax is Italy’s version of Stamp Duty Land Tax/ Purchase Tax. The amount charged depends on whether or not the property will be your main residence and whether the property you are buying is a new build property or not. If you are buying a new build property you do not pay this registration tax but instead pay VAT. This is charged at 4% for main residences or 10% for non residents (this increases to 22% for a “Luxury Home”). It is strongly advised that you instruct a recommended English–speaking Italian property lawyer to assist you with your property purchase in Italy. Lawyer’s fees for property purchases in Italy are usually calculated as a percentage of the purchase price and are typically between 1%-2% of the property purchase price. The lower the value of the property the higher the percentage. This lawyer should be independent from the estate agent so beware of any lawyers recommended to you by the estate agent or an agency that “packages” the lawyer into the purchase costs. The role of the lawyer is different to the role of the notary (notaio). You should make sure you find your own, independent lawyer. If you would like a recommendation for a reputable English-speaking Italian lawyer to assist you, please contact us on 01244 470 339 or at info@worldwidelawyers.co.uk. Property purchases in Italy must be completed through a Notary (Notaio). The notary charges a fee for this service which is set out in Italian law. The amount of the notary’s fee depends on the property purchase price as it will be calculated as a percentage of the price of the property. The lower the price of the Italian property, the higher the percentage. The fees won’t however exceed 2.5-3% of the total cost of the property. The Land Registry Fees are usually charged as a fixed sum and are around €200. If you wish to instruct a surveyor or if you will be purchasing the property with a mortgage, you will need to budget or the costs associated with these. Also you should check with the estate agent whether the property is connected to main water, electricity and gas supplies and what the ongoing costs of owning the particular Italian property will be. If you would like further information about buying property in Italy or would like details of a recommended English-speaking Italian lawyer, call us on 01244 470 339 or email us at info@worldwidelawyers.co.uk. You can also download our FREE Guide to buying property in Italy.